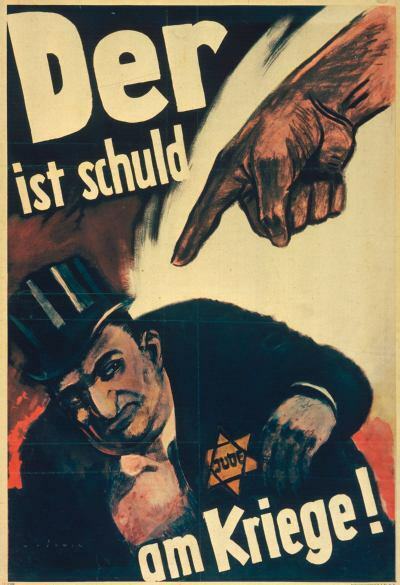 As couple of days ago I wrote about my own recollections of believing political propaganda. That post was important for me to write, because like I did, many well meaning and idealistic people believe the lies and follow the propaganda of various politicians, pundits and preachers. They often do so without thinking and without examining their claims in light of the knowledge that they already have. I have been watching my DVDs of Star Trek Deep Space Nine over the past week. I just finished the final episode of the first season entitled In the Hands of the Prophets. 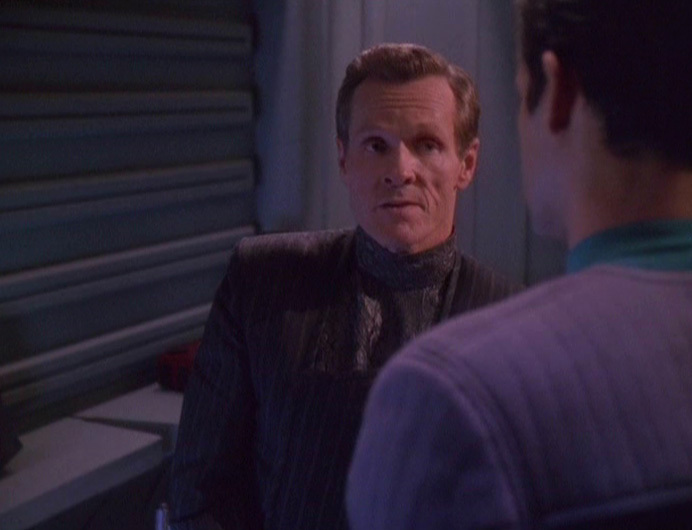 The episode, which aired in June of 1993, was about a religious conflict between rival claimants to the head of the Bajoran religious world, which enveloped the Deep Space Nine Space Station. 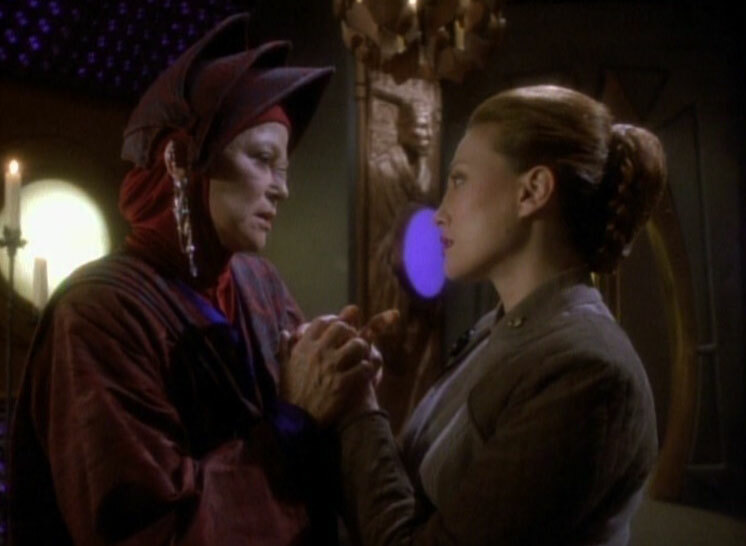 In the episode, the claimant of the fundamentalist sect, Kai Winn, played by the great actress Louise Fletcher uses her religious authority to subvert the teaching of science on the space station, and then uses violence and terrorism to attempt to rally Bajorans against the Federation. The story is amazing because it is so real. It involves the clash of cultures, fundamentalism versus modernism, and terrorism. The fact that the episode aired over twenty years ago does not make it any less pertinent today. I think that the most chilling moment is a conversation between Vedek Winn and a young Bajoran officer and follower of her sect on the station. The officer has already killed a Federation officer, and Winn tells her that she needs to commit another murder, this time of the rival, but progressive Bajoran religious leader, Vedek Bereil, even though her means of escape has been lost. When I read or hear about the demands of some stridently militant religious leaders today, I am reminded of that conversation. The comments of Winn are so banal and so lacking in empathy I cannot get them out of my head. They remind me of words that I heard from various pastors and bishops who served over me when I was younger, men who had no empathy, but only demanded that those under them fulfill their “duty.” The fact is that many religious leaders are the ultimate exploiters of idealistic young people, young men and women who want their lives to count for something and who think that their religious leaders actually speak for God. Thankfully, I broke away from that, but at the same time the words and actions of those men who I served under for years still haunt me. When I was younger I would have done anything to win their approval, but when I no longer suited their purposes, they turned on me, but thankfully what I did for them before they turned on me was as not bad as what so many others are commanded to do by their religious leaders. Sadly, that is what so many people who follow sociopathic religious leaders never learn until it is too late. Last night the U.S. State Department issued a worldwide travel alert as Belgium’s government continued its lockdown of Brussels. As this went on the French continued their search for DAESH terrorists who took part in the Paris attacks. Over a week ago the U.S. Government issued an order for military and other government agents to not travel to Paris. As all of this is going on I am thinking about an episode of Star Trek Deep Space Nine entitled, Paradise Lost that deals with suspected Dominion shape shifters infiltrating Earth that conducted a terror attack in Antwerp. The fact that the episode premiered in 1996 only underscores the fact that human nature is very consistent. We cannot forget the many times in history where peoples and nations have sacrificed essential liberty for the illusion of security. In the episode Starfleet command declares martial law on Earth, and everyone is a potential terror suspect. Troops were deployed; citizens were subject to random blood tests to determine if they were really human, and false flag operations were conducted to instill even more fear, and for a time the plan worked, people submitted to the measures because of fear. SISKO: Then why did you bring me here? LEYTON: Because I needed someone who knew how to fight shape-shifters, and that’s you. And I suppose on some level I hoped that when you saw what we were accomplishing, you’d join us. You’ve always had a strong sense of duty. 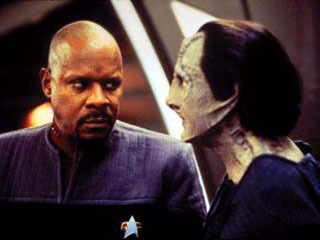 SISKO: My duty is to protect the Federation. LEYTON: That’s what we’re trying to do. 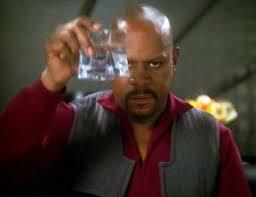 SISKO: What you’re trying to do is to seize control of Earth and place it under military rule. LEYTON: If that’s what it takes to stop the Dominion. SISKO: So you’re willing to destroy paradise in order to save it. In light of the threat posed by DAESH, with real, suspected and imagined terrorist attacks in Europe, in the Middle East, and potentially in the United States, the conversation is quite relevant. Changeling: Let me ask you a question. How many Changelings do you think are here on Earth right at this moment? Captain Sisko: I’m not going to play any guessing games with you. Changeling: Ah. What if I were to tell you that there are only four on this entire planet? Huh? Not counting Constable Odo, of course. Think of it – just four of us. And look at the havoc we’ve wrought. Captain Sisko: How do I know you’re telling me the truth? Changeling: Four is more than enough. We’re smarter than solids. We’re better than you. And most importantly, we do not fear you the way you fear us. In the end, it’s your fear that will destroy you. The fact is that the numbers of DAESH terrorists are extremely small, and yes they are capable of doing a lot of damage. But at the same time what are we willing to sacrifice to ensure our security? It seems that we are becoming ever more willing to sacrifice liberty in the name of security and to cast suspicion, and on an entire religion, including loyal citizens due to the actions of some. If that happens, DAESH wins, no matter how secure we think we are; but do not get me wrong, security is important, but sacrificing liberty in the name of security has seldom been effective, and once surrendered, liberty seldom returns. I think the very last line of the spoken by the changeling is the most important. 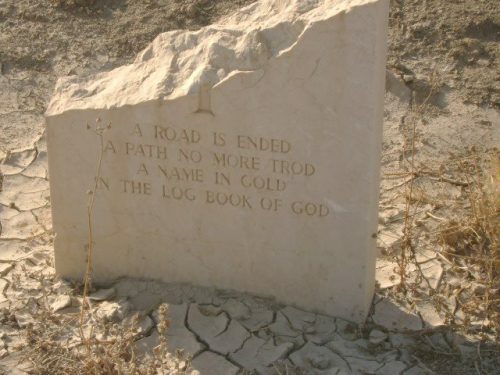 In the end, it is our fear that will destroy us. 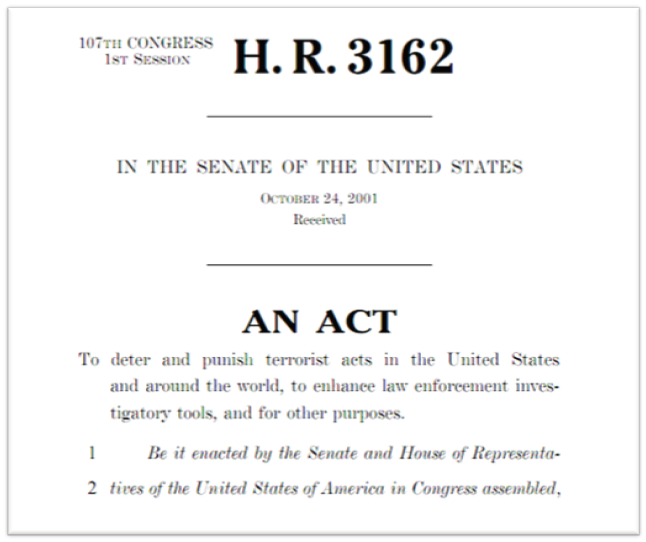 After September 11th 2001 the National Security State went into overdrive with the passage of the so called Patriot Act. That act opened the floodgates for an ever expanding national security state. I have a lot of apprehension when I read the reports about the activities of the National Security Agency, other intelligence and police agencies at all levels of government and the pervasive erosion of civil rights. The national security state and the seeming all pervasive security and surveillance apparatus which demolishes any sense of privacy, especially the protections enunciated in the Fourth Amendment and to some extent the First Amendment. Of course the use of similar methods by the private sector, often in conduction with government agencies is another concern, but that needs to wait for another day. I also understand from history and empirical evidence that many others, many from unfriendly countries do not share those apprehensions. Many of these competitors are willing to use whatever openness that we have as a society against us, using similar technology and methods used by our intelligence, police, governmental and private sector. It makes for an ethical, legal and even constitutional conundrum. I know that I am not comfortable with this, and perhaps maybe none of us should be. 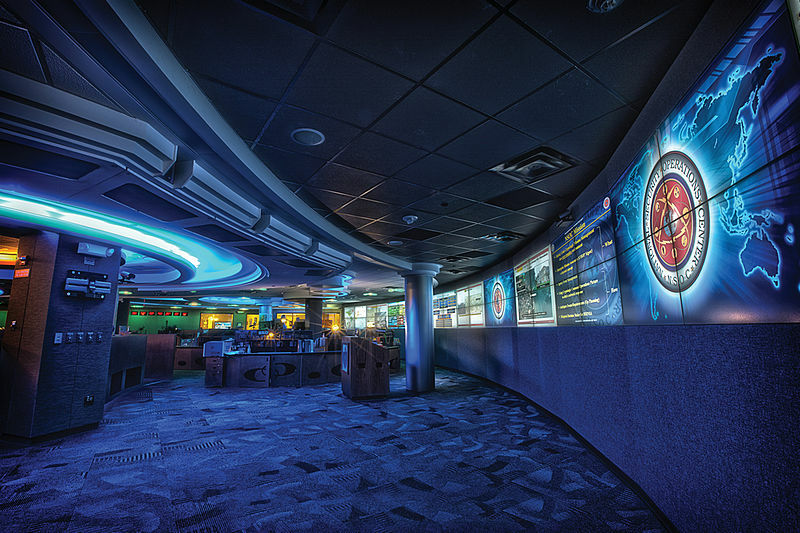 Likewise it is equally easy in light of history, current events and national security concerns for people to jump to the other side of the fence and not only defend the activities of the NSA and agencies like it, and to demonize those that protest or expose such activities. When I see the talking heads on cable news shows defending or condemning such activities and not agonizing over the complexity and issues involved I get worried. Because there are legitimate concerns voiced by critics as well as defenders. But since we live in an era of soundbites, gotcha and half-truths being portrayed as all truth I find it helpful to use either historical examples, literature or fiction, and even science fiction to wrestle with the fundamental truths. So I find looking at such issues through the prism of Star Trek sometimes more interesting and provocative than simply doing the whole moralizing pundit thing. There was an episode of Star Trek Deep Space Nine that aired well before the events of 9-11-2001, and the subsequent Global War on Terror, that I find fascinating. The episode deals with a secretive agency in Starfleet operating in the gray areas between the laws and ideals of the Federation and the threats that the Federation faces. Even when the Federation is a peace, Section 31, as it is called is engaged in activities against historic or potential enemies. In a way it is somewhat like the NSA or the Defense Intelligence Agency. At the beginning of the Deep Space Nine Episode Inter Arma Enim Silent Leges the head of Section 31, a man only known as Sloan comes back Doctor Julia Bashir to involve him in an clandestine operation. An operation to on the Romulans who at this point are a Federation ally against the Dominion. I find the exchange both illuminating and riveting. The fact is that in the situation we face today the arguments of both sides should make us very uncomfortable. Whether we like it or not or not, the incredibly rapid technical and communication advances of the past couple of decades have primed us for our present conundrum of liberty and privacy or security. That technology, as wonderful as it is has enabled a generation to grow up in a virtual world in many ways detached from the moral and ethical balances between individual rights and liberties as well responsibility to community. All the wonderful gadgets that we employ in everyday life, make it easy for enemies and “friends” to do things that were unimaginable to people other than science fiction writers even twenty to thirty years ago. Likewise they were certainly beyond the wildest imaginations of any of the founders who drafted Constitution. The reality is, the things that make are lives so easy are also the things that have the potential to remove the very liberties that we treasure, either by our enemies using them, or those that defend us. There is an exchange between Dr. Bashir and Admiral Ross of Starfleet command which is very enlightening because it practically mirrors how many on both the civil liberties and the national security side of the current controversy feel about the War on Terror. As we wade through the continuing controversy surrounding these issues we will see people do exactly what Bok said. These are the exact arguments are being made by the people and officials directly involved in such activities, as well as former elected and appointed officials, and members of the press. The interesting thing to me is that very few of the people or agencies, past and present, Republican and Democrat involved have clean hands. It is amazing to see former champions of civil liberties defend the NSA actions and those that empowered the NSA in the Patriot Act now condemn it. I find it both fascinating and frightening. Maybe that is not a good answer. I really don’t know. All I know is that as uncomfortable as this all is that those on both sides of the issue have valid points and concerns. It is a debate that needs to happen if we are able to balance that a society needs to balance individual rights and responsibility to the community; openness and secrecy; civil liberties and national security. But that being said. it is a debate that needs to happen, even if it makes us uncomfortable. I for one think that it is better that we be uncomfortable when looking at such an important debate than to be prisoners of our certitude. I think that among the Star Trek series that my favorite is Star Trek Deep Space Nine. Of course all of the series deal with ethics, philosophy and morality to some extent, but Deep Space Nine is perhaps the most interesting to me. Don’t get me wrong I think that the Original Series and Start Trek the Next Generation were and are leap years ahead of most television series when it comes to addressing ethical, moral and existential issues, but somehow living in the post 9-11 “War on Terrorism” world I find Deep Space Nine to be the most compelling. I think that is that the fact that the moral issues get blurred which attracts me to the series, and to this episode in particular. The ethics of this episode seem very timely as I look at the new phase of the conflict that the United States has been engaged for the past thirteen years. The fact is that in spite of our appeal to higher ideals we are having to make alliances with powers that are only slightly less unsavory than ISIS, powers whose polices have help ISIS grow. In a sense it is the classic scenario of making a deal with the devil to defeat one’s enemy. Of course this is not new, individuals and nations have made such deals, sometimes with mortal enemies throughout history. Unfortunately we usually judge such decisions based on their results, rather than wrestle with the ethical issues involved and how we might behave in similar situations. For me the philosophical and ethical issues involved in such alliances have a special interest and as such I tend to notice or recall instances where I saw, read or heard something that makes a connection to an ethical or moral dilemma faced by policy makers and planners today. Some of the issues involved for policy makers are related to the traditional Just War Theory, and what is called the “Supreme Emergency” exemption. This exemption basically posits that when faced with a supreme and existential emergency a person or state may engage in behaviors that ordinarily would be considered unethical if the situation were not of a supreme emergency. Of course such decisions in the real world are difficult. Those who have a system of beliefs that help them define right and wrong behaviors, even if they are not codified in law may struggle with with such decisions, while those who act according to what they deem necessary or expedient, unbridled by religious, philosophical or other similar codes may not, instead making their decisions based on what appears to be necessary at the time. This Deep Space Nine episode is remarkable because we get to see an actor playing a military commander dealing with the morality of the course of action that he is taking. In one of the early scenes Captain Sisko expresses his doubts relating to the morality of a decision that he is making in a war that has already consumed the lives of tens of millions of people. Garak: If you can allow your anger to subside for a moment, you’ll see that they did not die in vain! The Romulans will enter the war! Captain Sisko: There’s no guarantee of that! 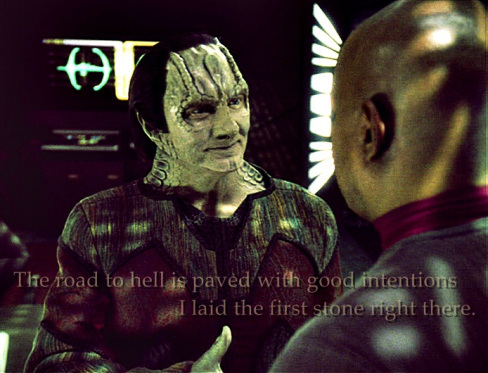 Garak: Oh, but I think that there is. You see, when the Tal Shiar finishes examining the wreckage of Vreenak’s shuttle, they’ll find the burnt remnants of a Cardassian optolythic data rod which somehow miraculously survived the explosion. After painstaking forensic examination, they’ll discover that the rod contains a recording of a high-level Dominion meeting, at which the invasion of Romulus was being planned. Captain Sisko: And then they’ll discover that it is a fraud! Garak: Oh, I don’t think they will! Because any imperfections in the forgery will appear to be a result of the explosion. So – with a seemingly legitimate rod in one hand, and a dead senator in the other, I ask you, Captain – what conclusion would you draw? My guess is that before this war is over, there will be men and women serving in positions of responsibility in our or allied militaries, policy makers and government officials who will make similar deals, violating their own moral codes and even laws in order to defeat the Islamic State and prevent acts of terror against their citizens. Most, like Sisko will not be happy but will live with their decisions. The fact is that long asymmetrical wars in which nation states have to fight non-state terrorist entities get really ugly and the longer and more bloody that they become the more decent and honorable people will make decisions like Sisko and resort to actions that in normal times they would never countenance. The question is: Can we live with it? Sadly, as much as I hate to admit it, in a similar situation I think like Sisko, that I could condone or be complicit in something like this. I too could probably convince myself that the end justified the means and that I could live with it.